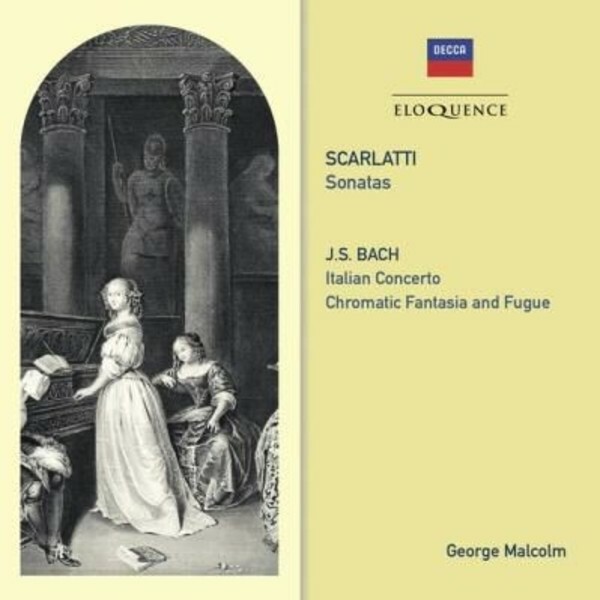 Although from an earlier age of Baroque performance practice, these recordings have a vividness and freshness that leap out of the speakers more than sixty years after they were made. They receive their first reissue on Decca CD. George Malcolm, who died in 1997, irreverently called the harpsichord the �jangle box�, yet he was a master of that instrument, and of several other musical domains as well. Of Scottish ancestry, he was born in London in 1917 and when he was just seven he was admitted to the Royal College of Music. He also excelled at the organ and at the piano (his first keyboard instrument), and as a choral conductor, he served as Master of Music at Westminster Cathedral, beginning in 1947. Pianist Andr�s Schiff, who recorded with Malcolm on several occasions, commented that he �was a great musician, a Renaissance man, a wonderful human being. He has been influential in the development of choral and instrumental music in Britain and abroad, and l consider myself one of the fortunate recipients of his immense knowledge, broad culture, and excellent taste. He should never be forgotten.� In 1965 Malcolm was made Commander of the Order of the British Empire.